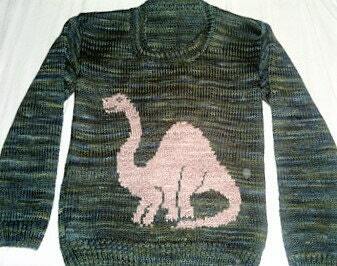 A sweater featuring an Apatosaurus Dinosaur. 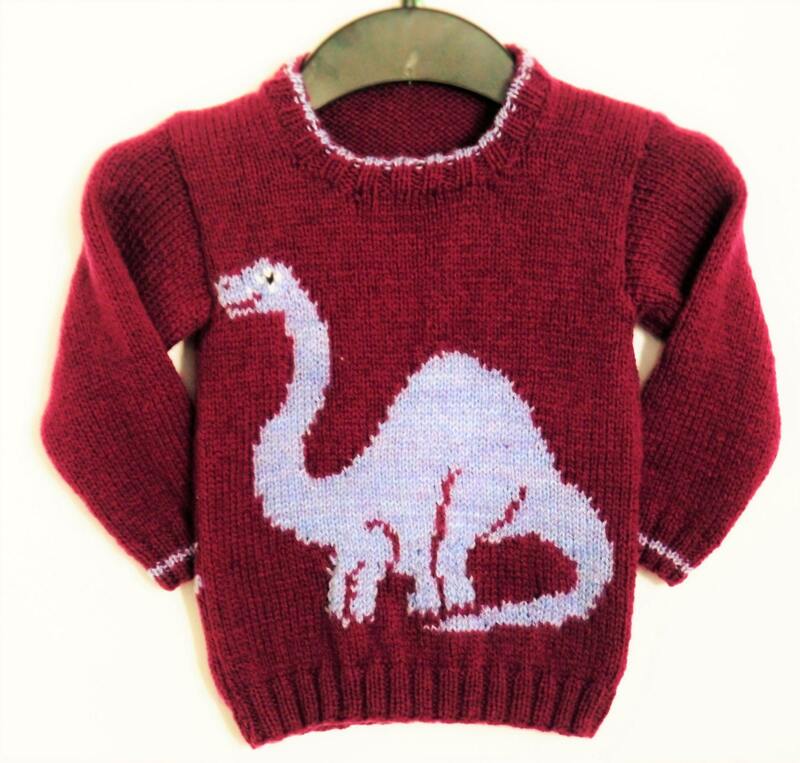 Knitted in double knitting yarn - this sweater is sure to be a hit with your "Dinosaur Mad" youngster. 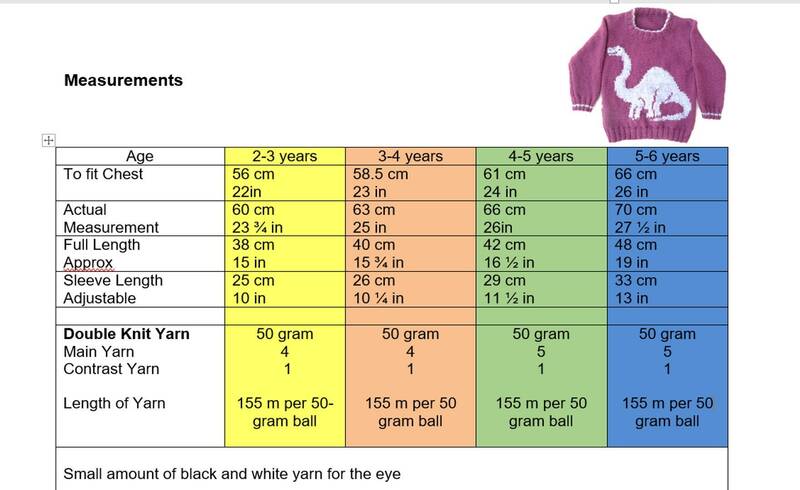 There are clear charts to follow and the pattern is colour coded for the 4 sizes . 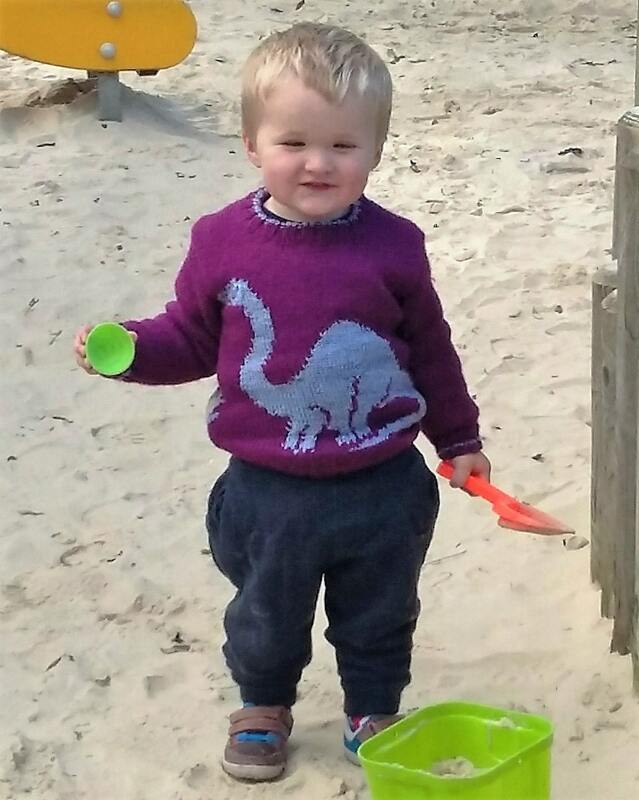 To fit 2- 6 years. 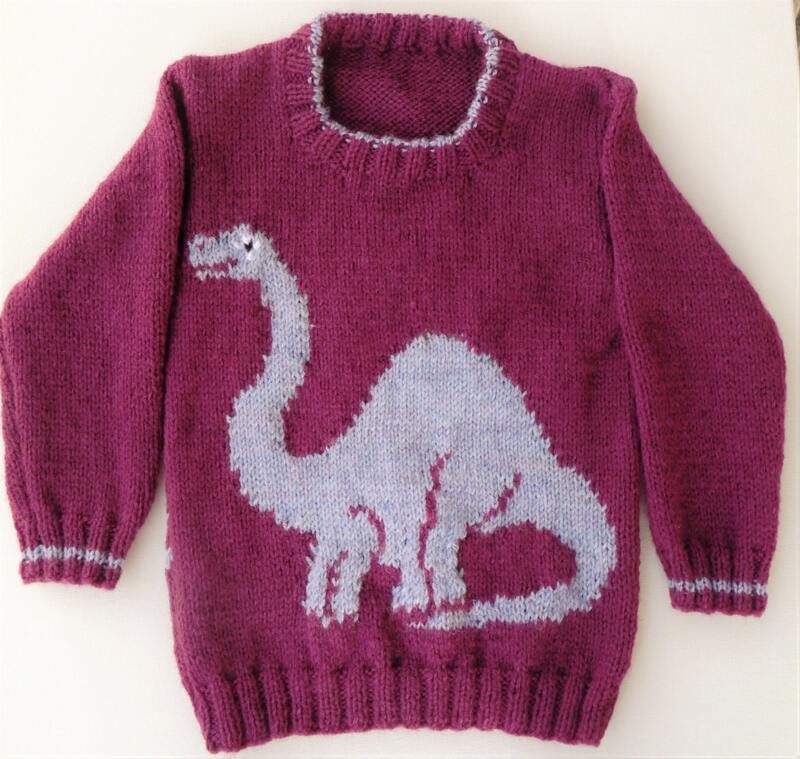 Add your own touch by changing the colours of the yarn and you have a truly unique sweater. Any double knitting yarn can be used, so long as the following tension is met. Alles hat super geklappt, bin sehr zufrieden.